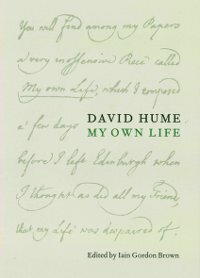 Scottish philosopher and historian David Hume writes his autobiography and discusses in a very detached and humble way the path of his life, describing some of his disappointments and his successes. Interesting to hear what one of the great philosophers decides to recount once he knows he is close to dying. This entry was posted in Books and tagged Autobiography, David Hume on March 12, 2015 by Blas.